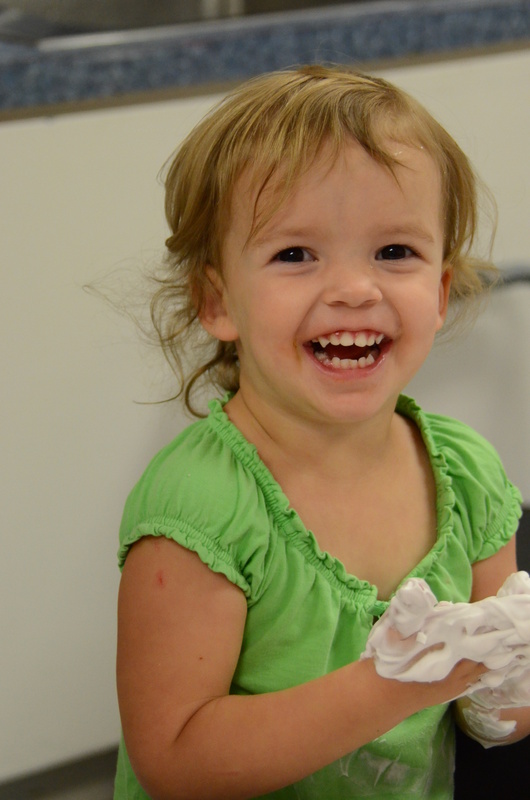 Our classes of two-year olds meet on Monday/Wednesdays and Tuesday/Thursdays from 9:30-1:30p. In these classes, there are up to nine children and two teachers. Students must be two years old by September 1st of the year they enter Covenant UMC Preschool in a two’s class. Pre-reading: building vocabulary through music, movement, literature, and play. Pre-reading: recognizing rhyming using poems and nursery rhymes. Math: introducing and reviewing numbers, shapes, and colors. Science: developing an awareness of conservation of matter through cooking and the sensory table. Gross motor: developing skills through games, music and movement, and outdoor play. Fine motor: developing skills through sensory activities such as play-dough and shaving cream. Fine motor: developing a pencil grip using activities such as games with tongs, using play-dough, and art tools. Social/emotional: learning concepts about sharing, helping, taking turns, friendship, and feelings. Spiritual: developing an understanding of God and family through prayers, listening to Bible stories, and songs.